Welcome to Tagoror Beach Apartments, strategically located next to Playa de Inglés, in Maspalomas. You will be able to enjoy the beaches across all the year, just 2 minutes walk from our apartments. 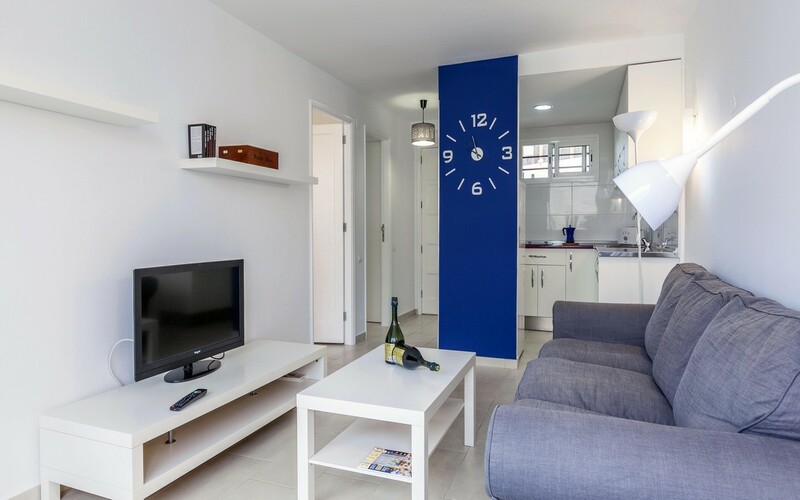 We offer living room with flat TV, fully equipped kitchen, bathroom, a spacious separate bedroom with twin beds, perfect for the total comfort of one or two guests. Its wide terrace wil allow you to enjoy the wonderful weather of Maspalomas 365 days/year. In our large pool you will enjoy your sunbaths in an environment of peace and respect. In the neighborhood you can find a comprehensive offer for leisure and all kind of services: cafeterias. restaurants, supermarkets, rent-a-cars, shops, show bars, etc. In 4 minutes you can walk to the famous Yumbo Centre. the most important Commercial Centre in the South of Gran Canaria, where your imagination is the only limit for your fun. Bars, fasion shops, supermarkets, the best shows, discos and a complete and unique world of freedom and tolerance worth to discover. Very important: our apartments are Adults-only. Apartments are easily accesible for persons with reduced mobility (ramps, elevators, etc). We are a young management team, but with enthusiasm and years of experience in Playa del Ingles and the tourist area of Maspalomas. We have updated the Tagoror Apartments and from now on we offer you the renewed Tagoror Beach Apartments. Its location is unique to make your holidays excellent with total comfort because you can walk to both the beach and the Yumbo Centre, and enjoy all the services at your fingertips. 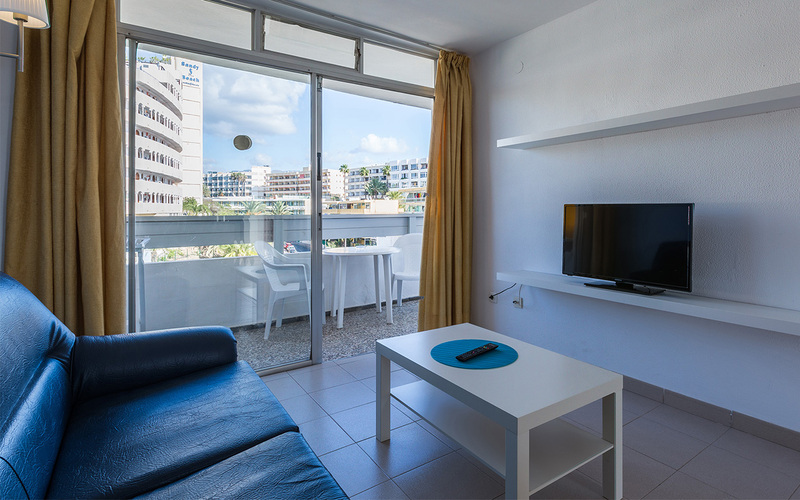 We will ensure that your stay in Tagoror Beach Apartments is just so nice that you will dream to return to Gran Canaria as soon as possible.